WAC Landscape Lighting updated its Hardscape Series of LED luminaires. Lumen adjustment control allows the user to adjust brightness in the field. Users can also switch color temperatures from warm (for lighting granite) to pure white (for lighting bluestone), WAC said. 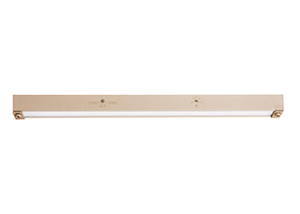 IP66 rated, these luminaires adapt into existing 12-v systems. The Hardscape Series is available in bronze, graphite and sand. Sizes range from 3 to 18 inches long. A stainless steel masonry bracket and rotating clips help attain the perfect angle and eliminate glare, according to the company.